I’ve created a field! 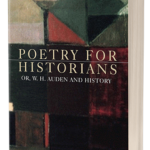 But to be serious, it was reading Auden’s Homage to Clio, thirty years ago, that inspired my book. I’ve been waiting to write it for a long time. None that I could afford to go to! Auden archives are scattered across the US. Spending time in Solihull Record Office, pursuing Auden’s childhood, was a bit of a surprise. That I was finally, after all these years, doing it. Getting the voice right. This was the first book I’ve ever published not under the shadow of REF (and all the things it’s been called, since 1986). That was liberating, but I had to think hard about NOT writing for the Research Excellence Framework. This is my twelfth book (or thirteenth, if you count one edited collection). It was 1981 (or maybe 1982; a long time ago). I thought: I want to go on doing this (writing), forever. Because MUP made such a beautiful job of Dust (2002). Yes. As I’ve explained. It’s more like Dust and Landscape for a Good Woman than anything else I’ve done. I always felt I was on a frontier in writing it, and that was exhilarating. I wanted to write it well. I wanted to make it matter to readers. 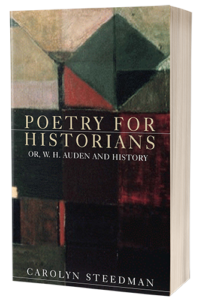 (All that was true of my other books, but this was different because historians`aren’t really allowed to write about poetry’.) I was very aware of my potential readers. I’ve already got an almost full draft of History and the Law: A Love Story. Which I could tell you all about, if you’re interested. 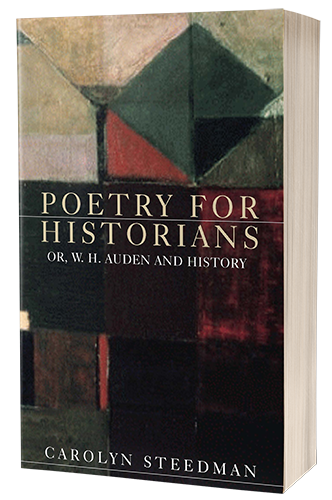 Poetry for Historians publishes in April and is available to pre-order now. Read a sample chapter, here. Category: Author Q&A, Blog, History, Poetry	0 Comments.